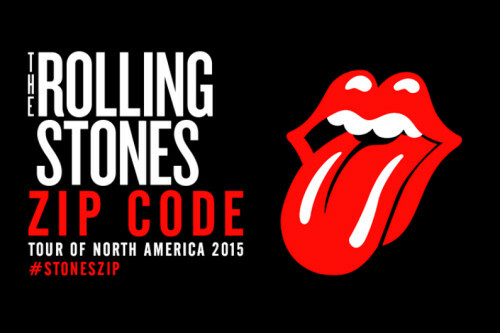 To commemorate this summer’s Rolling Stones North American “ZIP CODE Tour”, which kicked off in May, and comes to Buffalo on July 11, we decided to offer our individual rankings of our top 25 favorite songs. With a span of over 53 active years, spawning eight Billboard #1 singles and an additional 15 songs reaching the top 10 in the US, this proved to be quite a daunting task. Ever since reaching the US as part of the British Invasion of 1964-1965 the Rolling Stones have proven to be a force to be reckoned with. Their rebellious edge, in contrast to the more clean-cut persona of fellow Invaders such as The Beatles and The Dave Clark Five, provided something for the 1960s youth counterculture to identify with. Drawing their namesake from a Muddy Waters song, their influence was deeply rooted in the blues. The Stones’ early success and longevity can be attributed to continuing on a path which kept that style paired with rock and roll, and not falling into a pattern of short-lived pop songs or allowing discord among band members to be career-enders. With a string of four albums in four years that are arguably considered their best work; Beggars’ Banquet (’68), Let It Bleed (’69), Sticky Fingers (’71) and Exile on Main Street (’72), the Rolling Stones firmly implanted their presence in the minds of a generation that was experiencing great turmoil and change during the Vietnam War and Civil Rights era. The Stones continued to be prolific throughout the 70s, and when the ephemeral craze of punk and disco began to wane, their fans seemed to respond. Some Girls (’78) and Tattoo You(’81) were their two best selling albums. With 24 US-released studio albums, the songwriting team of Mick Jagger and Keith Richards has racked up an amazing catalog over their huge career, even containing their own version of nearly every style of music. This has not only provided the soundtrack for the lives of a generation, but fueled probably the most prolific live act in the world. Record-breaking tours over the years, which continue to fill stadiums, have kept the Stones in the minds of everyone. In addition to the obvious hits, check out some of the hidden gems contained on our lists. There may be some good tracks you’ve never gone deep enough to discover. Without further adieu here is our ranking followed by each writer’s individual rankings. This entry was posted in Top 25. Bookmark the permalink.